Providing heating, cooling and refrigeration services for over 30 years. 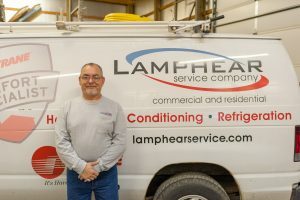 Lamphear Service Company was started in 1987 by Bruce and Linda Lamphear, who 30 years later remain “hands-on and involved” owners. 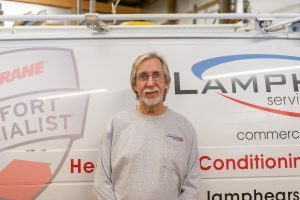 In 1988 Larry Koetsier joined the company bringing expertise and skills that he has used to manage the service department and large commercial projects. 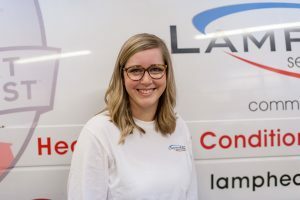 All of our service technicians and installers have many years of experience and background in the heating, cooling, ventilation, air conditioning and refrigeration field. 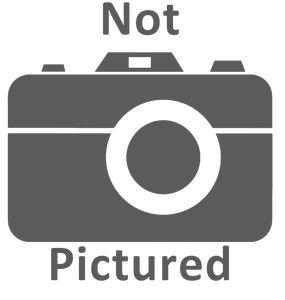 We are locally and state licensed and insured. We have consistently maintained the highest A+ rating with the Better Business Bureau of West Michigan, and are longtime members in good standing with the Grandville/Jenison Chamber of Commerce and the Home Building Association of Greater Grand Rapids. 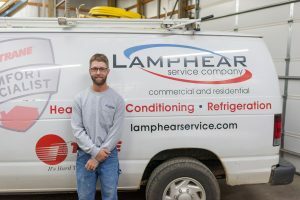 Bruce received his degree in HVAC from Ferris State University. 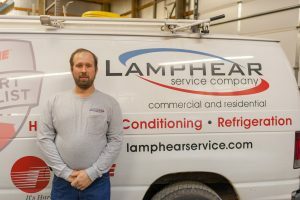 Following graduation, he worked for 12 years in the Grand Rapids area doing commercial service, maintenance and installation. 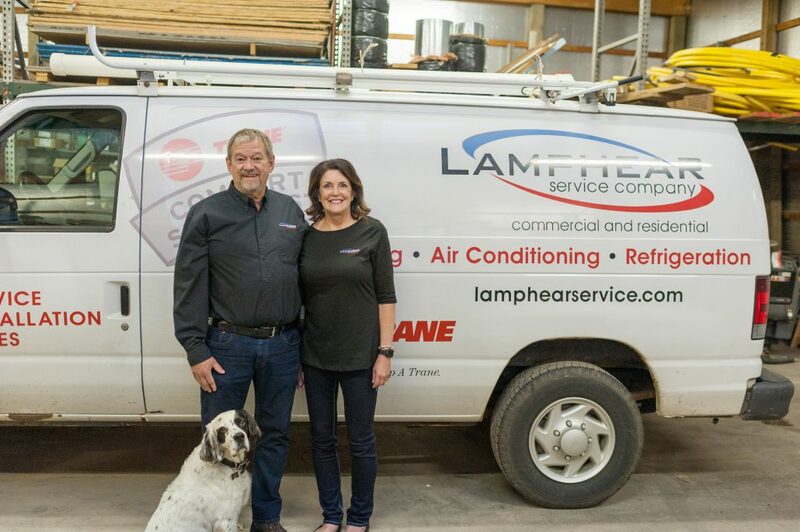 Bruce and his wife Linda started Lamphear Service Company in 1987. 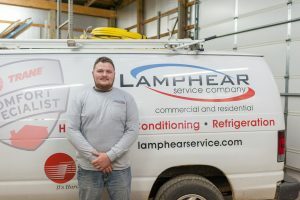 For the first year and a half Bruce was the sole technician, installer, estimator and system designer! As the company has grown over the last 30 years, Bruce has transitioned from field work to desk work. Although he misses the days of hands-on work, he states that managing a great team keeps him very busy. 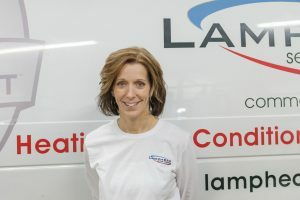 Before starting the business with husband Bruce, Linda received her degree in Special Education from Western Michigan University. She taught children with learning disabilities for six years. 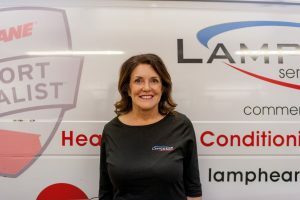 Since then she has worked full-time at the business handling many different roles over the last 30 years. Bruce and Linda have two amazing daughters, two awesome son-in-laws, and three beautiful grandbabies! 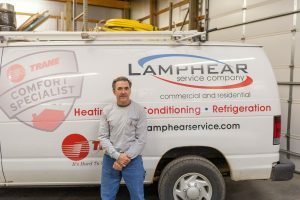 Larry joined the team at Lamphear Service Company one very hot summer in 1988. 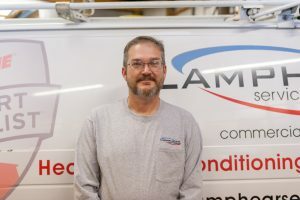 Though he began working as a Service Technician, he also learned the process of installation, bidding and quoting over the years. 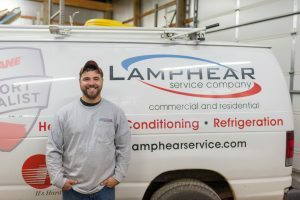 He has since transitioned into the role of Project Manager, overseeing Lamphear Service Company’s installation projects. When asked about his time with the company he stated that he "never lacks for anything to do or learn" and that he "always wanted to do the best he could for the glory of God." 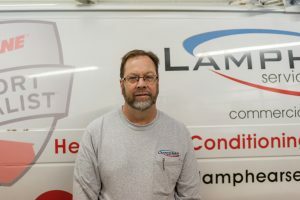 Scott joined the team at Lamphear Service Company 23 years ago. He wasn’t sure how long it would last after he fell and broke his arm just eight weeks after his first day! 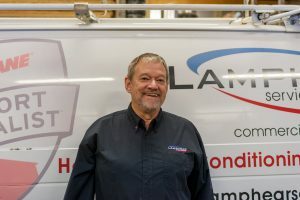 He started out working as an Installer, mainly focusing on installing commercial duct work and equipment. 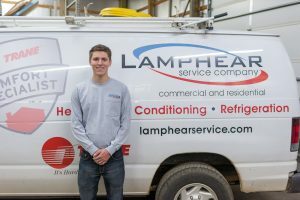 Over the years he has learned many new skills and has transitioned into more of a sales role. Today, he splits his time between residential and commercial sales as well as residential, commercial and industrial installations. Scott’s motto is "You’re never too old to learn something new." 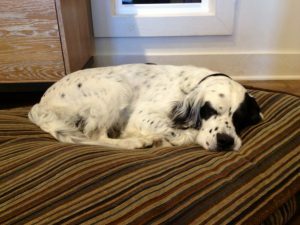 Weston is a 9 year old English Setter. He spends his days at the office greeting visitors and taking naps. When not working, Weston’s favorite activity is pheasant hunting with his Dad!